RNC Readies Formal Anti-Nazi Resolution - Joe.My.God. The Republican National Committee is headed toward adoption of a resolution condemning white supremacists, at the strong urging of the party’s national chairwoman but also with groans from some party activists. 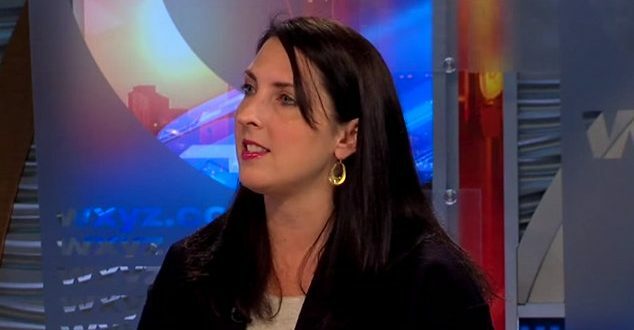 The grumbling reflects a difference between RNC leaders concerned about the party’s image in light of President Donald Trump’s latest rhetorical thicket and newer, more ardently pro-Trump state Republican leaders who say such a statement appears defensive. But make no mistake, this is a priority for Chairwoman Ronna Romney McDaniel and committee members who were bothered by Trump’s initial resistance to singling out white nationalists, the Ku Klux Klan and neo-Nazis as the antagonists in Charlottesville. The draft resolution strongly denounces the groups that organized the Charlottesville, Va., rallies, singling out the “white supremacists and neo-Nazis” at the center of the marches, which led to the death of a counterprotester and two law enforcement officers responding to the violence. “This resolution is a nonstarter for Democrats,” said a Democratic aide. “It equates neo-Nazis and white supremacists with counterprotestors, and reeks of the same moral equivalence as Trump’s statements.” It’s unclear who penned the document or how close the Republicans are to finalizing it.